In 2016, the race for the American President saw a popular candidate suffer an unexpected defeat. Hillary Clinton, who was expected to be the 45th president of the United States, lost because of a strange controversy. The controversy involved her using a private email server during her tenure as the Secretary of State. As expected, the American people were enraged that a government official was using unlawful means to withhold information from them. However, if this controversy is analyzed through an unbiased perspective, one might consider the fact that Hillary Clinton had her reasons. After all, being the Secretary of State, it was vital for her to keep enemy states away from confidential information. The scandal was dubbed as the ‘email controversy’ but in actuality, it was an ‘email security controversy. Email security is an issue that is often provided less attention than it deserves. Organizations, institutions and even individuals in personal capacity use emails to share sensitive information. Protecting this information is utmost important. This is because if the right information gets in the wrong hands, it can be used to blackmail, manipulate or even humiliate someone. Hence, you should make no compromises in ensuring that your emails remain safe and secure. Below, we have laid out several methods you can apply to keep your emails away from malicious individuals. Passwords are the backbone of your online privacy. By creating strong passwords you eliminate the immediate threat of a hacker gaining access to your personal information. However, even if you have created the strongest password in the word, do not use it for all your online accounts. If you have a single password for everything, you are walking into a trap. Imagine the nightmare if you lose this password. Everything from your Facebook profile to your Amazon account will be at risk. If you have a hard time remembering multiple passwords, you can avail the services of a password manager. In any case, avoid this rookie mistake. Public Wi-Fi can be detrimental to your online security. This is because they are filled with nefarious threats. Hackers lurk on these Wi-Fi networks to get their hands on your sensitive information. This includes the password of your email. With the program called ‘network sniffers’, the hackers can monitor traffic on a particular network and examine it for important information. However, there is a way for you to escape their watchful eye. By employing a VPN, you can encrypt your online traffic and keep hackers at bay. A top VPN anonymizes your online profile making it difficult for hackers to monitor your connection. Phishing is a popular hacking method in which the hacker disguises as a trusted entity, person or an organization to steal your password. It is the oldest form of cyberattacking that originated in the 1990s. What happens in this attack is that you receive an email or an instant message that directs you to a fake website. The website is a spoof, meaning that it is copy of a legitimate site. On this website, you will be required to provide your email and password. From there, you can guess what happens next. There are also more direct methods to phishing. Sometimes you will receive a message from a certain website, asking for your login credentials to ‘fix’ a certain issue. Of course, this will be an imitation of the real website and your credentials will end up with the hackers. By looking out for above signs, you can avoid phishing and keep your email secure. Just like keeping a single password for all account is problematic, using a single email for all online purposes is risky. The reason for having multiple emails is the same reason you should have multiple password. If a hacker succeeds in breaking into your ‘one-for-all’ email account, he/she will have a field day with your online profiles. Hence, create separate accounts for work, your personal activities and one for different website you use. To keep your device free from malwares and viruses, run frequent scans through capable anti-virus programs. The good news is that most anti-virus programs perform this function for you. However, if you believe that you received a suspicious mail, scan your computer just to stay on the safe side. You can never be too careful with your online security. As many real life examples have shown, one cannot take email security lightly. You can suffer both personal and financial loss by being careless in your emailing activities. This is why it preferable that you take all the necessary precautions to keep your emails safe and secure. Emails nowadays are a very common method of conveying messages. More importantly, when we try to have a private conversation and exchanging important files and information we try to use the method of email. But what about the security of this method? As we think that the emails are a more secure form of a conversation between two or more parties but this might not be the case. The Invisible Web, Dark Internet, and Deep Web refer to the dark minds and criminals that are all over the internet, waiting to steal your information and corrupt your device. This threat was always there but in the recent times, the scamming and criminal activities on the internet are more taken place through the emails. Therefore as a research, the user of email have more threat of stealing or corrupting the information than anyone else or any other method. Who is the average email user? According to the research the average internet and email users have not very much to worry about as they have not much to be stolen from. On the other hand, they can make their system more secure by using the regular internet protection system such as firewall, malware, hotspot etc. Little efforts must be taken by the regular internet users to protect themselves from a major loss. But the scammers and hackers are indirectly affecting the regular users by targeting the Online shopping sites, Banks, online transaction etc. so that they can get valuable information as well as a monetary benefit which can involve your money or money related information. What can be done to protect emails? • Offers from any king from African country etc. 2. Don’t open and go after an endless link because it can have a potential virus. This email can be sound or seen familiar such as one from your contact, family or friend. Any social media pop up or any video or meme which is sent in an email and it is unnecessary to open must be avoided. 3. If you use your office files and documents from your own PC or laptop or use bank related work through it, invest a little on the security software which might charge a little but saves a lot of your information. 4. Try not to expose your security by using any free or public internet. A free or public internet is an open web which makes sure the person falls in. 5. If you are using any local internet services make sure to use a reliable one. Especially in case you are working on the international business and your internet connection is local, there are more chances of a security breach as the rules and laws do not apply to the local internet service provider. How email encryption is beneficial for you? The encryption is a method of converting the actual or original message having the regular text and changing into the encoded one. The format of the text is changed from the language such as English into the algorithm which is a type of formula. Now, when the message is encrypted, it is least chances of the text to be converted to the actual text other than the person who has the authority or permission to decrypt. Decryption is a process of translating the encrypted code into the actual text. Therefore the information sent and received will remain in the safe hands and the scammers and hackers cannot do anything about it. There are certain laws and rules applied to the delivery and receiving of mails of U.S. Postal Services and in case someone breaches it the law applies to him or her. But there are no rules and laws applied on the emails and that is why email scamming is very common these days. Similarly, the emails are more vulnerable. Even in the cloud, when the senders send the email and the receiver has not opened it; the email sits on the cloud and waits to be opened. The changes or polluting can be done there as well. 1. Almost 20 to 25 percent of emails have attachments and these are about 98 percent of the email traffic volume. 2. The most importantly the users and employers think that the hard drive can be damaged or the data can be lost but the emails are safer. Therefore the emails mostly contain important stuff, especially the attached files. 3. The email attachments contain the 75% of the intellectual property of the organization. On the other hand, there are some measures which must be applied in long term to avoid the hacking and encryption of the emails. Avoid taking local internet; instead use VPN if the business is small. This will help the company move their data without the threat of hackers. Outlook helps you defend your system from the unknown emails and attachment by doing simple setting you can stop seeing the emails of the unknown sender and unsafe attachments. Some encryption software is available on the internet and it will help you secure the most important information and emails. The Microsoft Trust Center helps you secure your emails, links, and information more by applying simple tips and tricks. This post was submitted by Muhammad Shoaib of Top10BestPro. We have all faced the need to email a stranger at some point in our lives. 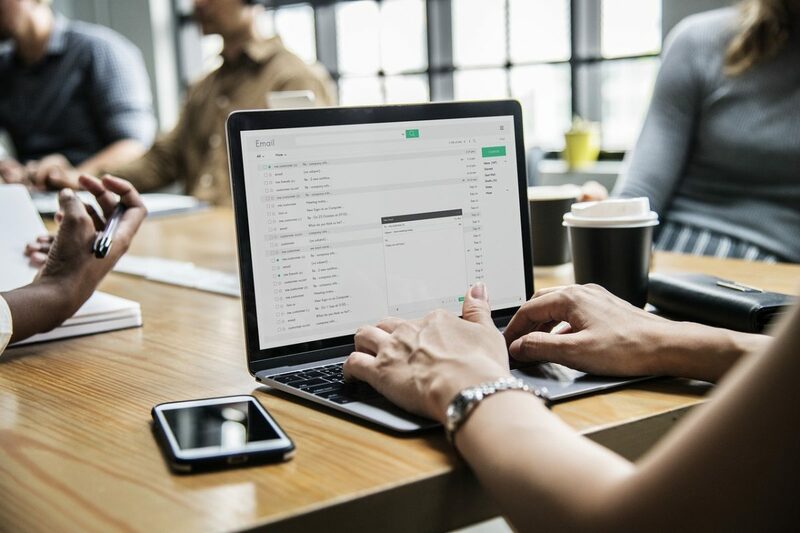 Be it while reaching out for a job opening, or reaching out to a prospect customer for an appointment, cold-emailing is as ubiquitous as cold calls today. However, finding the right email to reach out is often a nightmarish process. For one, it is a tough job tracking down the emails one after the other. And even if you do, a couple of bounces could potentially ruin the credibility of your mail server. Which means, newer emails you send could potentially be going to the recipient’s spam box. There are a number of ways to find the right email address of a recipient. One of the most popular ways is to use the Rapportive Chrome extension to try out various email combinations. An alternate process is to use a site like Verify-Email to try out IDs one at a time. These are however lengthy processes, and in the case of Verify Email, you can also exhaust your quote pretty quickly. So is there an easy way out? FindThatID.com is an exciting tool that solves a problem in this niche. Using the service is simple – you simply enter the website URL and the full name of the person (without spaces) and the system will engage with the MX server to track down the right combination. Looking for bulk solutions? That is available too. Step 2 : Enter your own email address in the ‘Your Email’. This is the email where the processed emails will be sent to. Step 3 : Depending on your email extraction request, you can pick the free or one of the paid options. Free option lets you check up to ten emails one by one. Step 5 : Alternately, if you want to check multiple emails at one go, pick one of the paid options. You will now be shown an Excel form where you can simply copy-paste the domain name and full names from your local spreadsheet document. Step 6 : Click ‘Proceed’ to continue. Step 7 : If you have picked the free option, you are displayed the email in the following window. Otherwise, you are now taken to the Payment page. Once you complete the payment, the email request is queued and sent to you within the next few minutes. FindThatID says the time to process an email list can take up to an hour or two. However, in all the tests I made, we got the output file in less than a couple of minutes. As someone who writes to hundreds of prospects every week, FindThatID is a wonderful way to increase productivity and minimize your email track-down time. Check out the tool and let me know what you think.